Last week, I discussed a monograph published in the Journal of the National Cancer Institute Monographs entitled Clinical Practice Guidelines on the Use of Integrative Therapies as Supportive Care in Patients Treated for Breast Cancer. As you might remember, I was completely unimpressed. However, those guidelines were not the only thing in that particular JNCI monograph. There were lots of other articles, and, given that some of them show just how deeply quackery has insinuated itself into oncology in the form of “integrative oncology,” I thought it was worth revisiting one more time. Sometimes, it’s hard not to get the feeling that bloggers promoting science-based medicine are trying to hold back the tide in terms the infiltration of pseudoscience and quackery into conventional medicine, a term I like to refer to as quackademic medicine. In most cases, this infiltration occurs under the rubric of “complementary and alternative medicine” (CAM), which these days is increasingly referred to as “integrative medicine,” the better to banish any impression of inferior status implied by the name “CAM” and replace it with the implication of a happy, harmonious “integration” of the “best of both worlds.” (As I like to point out, analogies to another “best of both worlds” are hard to resist.) Of course, as my good buddy Mark Crislip has put it, the passionate protestations of CAM advocates otherwise notwithstanding, integrating cow pie with apple pie doesn’t make the cow pie better. Rather, it makes the apple pie worse. Not that you’d get that idea from anything in the monograph, much of which is far more selling integrative oncology than anything else. After co-opting pharmacognosy and exercise as somehow “alternative,” the next frontier for “integrative oncology” is to imply that it can somehow improve survival. This is the background against which the clinical guidelines for integrative oncology in breast cancer were written. 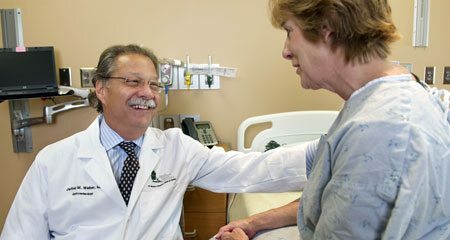 Proponents of “integrative oncology” are no doubt well-meaning practitioners who think they’re doing good. They even go out of their way to condemn quackery, as though to demonstrate that what they embrace is not quackery. However, as they try to distance themselves from obvious cancer quackery, as Barrie Cassileth, who heads up the integrative medicine service at Memorial Sloan-Kettering Cancer Center, did not too long ago, they seem oblivious to the fact that much of what they accept as potentially part of integrative oncology, such as traditional Chinese medicine, acupuncture, reiki, naturopathy, and the like, is based on the very same pseudoscience and magical thinking that the quackery they condemn. Just like vaccines are, to some degree, a victim of their own success, so, too it would appear that real, science-based oncology is a victim of its own success Unlike with vaccines, however, where battle lines are generally pro versus con, oncology has a lot of SCAM leeches who are trying to glom on for the money to be had. Sadly, these “well meaning practitioners” you mention fail to realize that money spent on SCAM quackery is money that cannot be spent on real medicine. Did I read that title right? Are they basically saying that they “know” (some of) this stuff works and are hunting for evidence that it does, regardless of prior plausibility? Because apart from things like diet and exercise which the alt-med crowd have coopted, their theories and treatments are either demonstrably false or non-falsifiable. Science only works that way in cartoons, not in the real world. While it is a much smaller slice of federal funding, quackery is also funded at the USDA with their National Organic Program, Organic Cost Share program and Organic Research and Extension Initiative. Quackery for medicine, food and agriculture from the federal government needs to be removed. While a large amount of quackery goes on, the push to get science and tech involved with cancer treatment impresses me. 60 Minutes ran a halfway decent segment last night on (what I felt) the importance of entrepreneurship to promote treatment discovery. Granted, it also seemed a fair amount of a promotional piece to the benefit of one firm, and that’s not how science really works for everyone. But, I still enjoyed the ideas. Chemo isn’t nearly as effective as it could be in certain types of cell behaviors, and has that overall deleterious effect on the body. In some trial cases, I feel, amounts to chemical torture on someone to get a 2-3 month data point, which a large amount of people quit anyway. Granted, homeopathic-whatever clearly serves little purpose other than maybe some palliative; why not just send a person home to drink hot honey tea all day long?? I’m not entirely a fan of using the immune system. I’d like to continue seeing targeted cellular reception approaches (nanotech), development of genomic IT, & interactive modeling to test models & solutions. Basically the things I saw last night in the tv segment. I’d really like to see that trojan horse concept continue to move forward and get put to the test in engaging tumor cells to pursue apoptosis. Probably the solution to aggressive tumors like glioblastoma multiforme may be found in targeted nanotech. That the government puts relatively little money into viable scientific discovery is really discouraging. I’ve been told, more than a few times, really in order to work on promising (well funded) projects, that higher level of education would need to be sought outside of the United States. Discouraging. But yet it is still good to see these scientific discoveries trying to take hold on a big health problem. What, pray tell, is a “basic scientist”? Is it someone with a Masters Degree. In Science? I would argue patients are crying out for the “integration” of diet and lifestyle changes, exercise, and pharmacognosy into conventional care, and patients see this as “complementary,” or “holistic” because sbm has done a poor job of putting such things forward in practice, largely due directly or indirectly to insurance company mandates. I don’t know how those millions of dollars are being allocated among the legit diet. exercise, lifestyle stuff vs woo, but there is such a need for better delivery and support of the former that anything spent on the latter is just a waste. Like it or not, “integrative medicine” is the term people are going to use for making the legit diet. exercise, and lifestyle stuff more readily available to patients. As i commented before, the term has been validated without really being defined. The best strategy is to fight for the definition on sbm terms. That is, what is to be ‘integrated’ is not sbm and not-sbm, but sbm measures that treat the disease itself (e.g. for cancer: surgery, chemo, etc.) and sbm measures that support that with ‘whole patient’ care on diet. exercise, and lifestyle. I hope no one would argue that our health care system does a good job of doing that now. So part of woo-fighting would seem to be sbmers admitting that the delivery system (which is controlled by bean counters, not actual doctors) has been doing a piss-poor job, and lobbying for reform. This would make the anti-woo stance all the more credible. I’ve noted before that the bariatric surgeon who did my Rouen-Y several years back, has an sbm-holistic approach (though he doesn’t call it that). His patients have to consult with dieticians, get clearance from clinical psychologists, and attend support groups before and after surgery or he won’t cut. He has a much higher success rate than other stomach cutters, no doubt in part because he’s a damn fine surgeon — as he’d be the first to tell you :-). But he’s also absolutely sold on the necessity of the support stuff. That’s anecdotal, of course, but I wonder if studies could be done researching, not as clinical trials necessarily (ethics problems?) , but of outcomes comparing 1) just treatment of the disease, 2) treatment of disease + sbm-legit ‘holistic’ support, 3) treatment of disease + woo ‘holistic’ support. I.e., break down which elements of the various stuff being lumped under the ‘integrative’ rubric actually help enough to warrant support. One might argue such studies are scientifically unnecessary, as we already know diet, exercise and counseling are good things, and reiki and acupuncture don’t do what they claim, but (again) we’re talking about policy, and that’s poltiics, not science. I can see only one very small advantage to “Integrative Oncolgy” – IF the healthcare organization is the ONLY place the patient seeks out woo, at least the oncology MDs will have it documented in the record and be aware of potential synergistic effects. And perhaps, by offering the Alt/CAM/Int nonsense in-house, they can hopefully keep the patients from seeking it elsewhere and being talked into totally eschewing real and proven medical care in favor of some sort of “miracle” cure the patient read about on Natural News. Another deplorable aspect is the sick but slick “evidenced” part of the branding exercise. When one goes to the studies which supposedly constitute the “evidence base” one finds studies being massaged, spun, wrung dry, turned upside down, shaken and declared good. Dross classified as spun gold. Is there a way, when I choose my health care insurance, to ensure that quackery is not covered? Is that not the way to squelch the nonsense?